Mirrors are circles and squares right? Those might make pretty precarious shapes to lean against a wall but that’s not exactly the point. 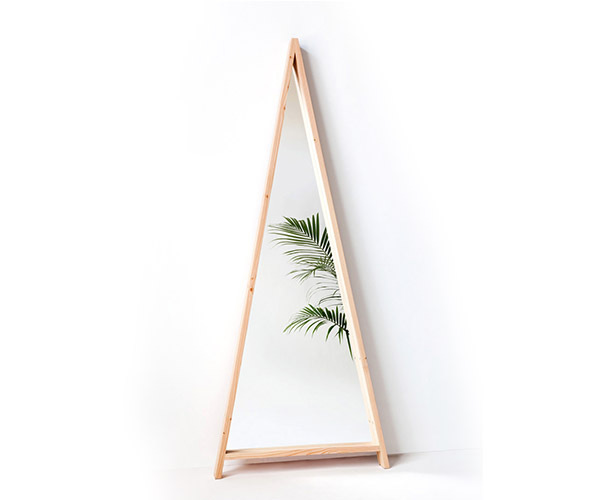 The A-framed mirror by Moving Mountains is the perfect peak of reflection wrapped in Douglas Fir. Designer Syrette Lew combines fashion and furniture in collection that is as fresh as the Hawaiian land she moved from to start her collection in Brooklyn. 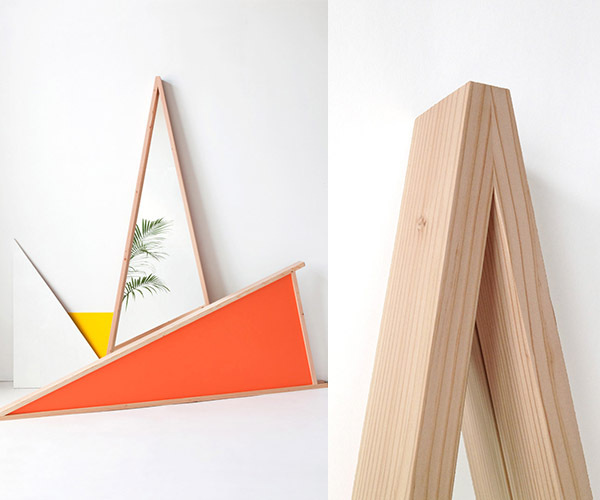 The mirror has a back that is painted a bright orange that gives its own reflective glow against a white wall. Made to order from Moving Mountains.